Tyler graduated from Mililani High School in 2017 and will be a sophomore at the University of Southern California in the fall of 2018. He is majoring in Computer Science with a minor in Statistics, and is passionate about combining ethical data science and leadership to solve problems in the community. 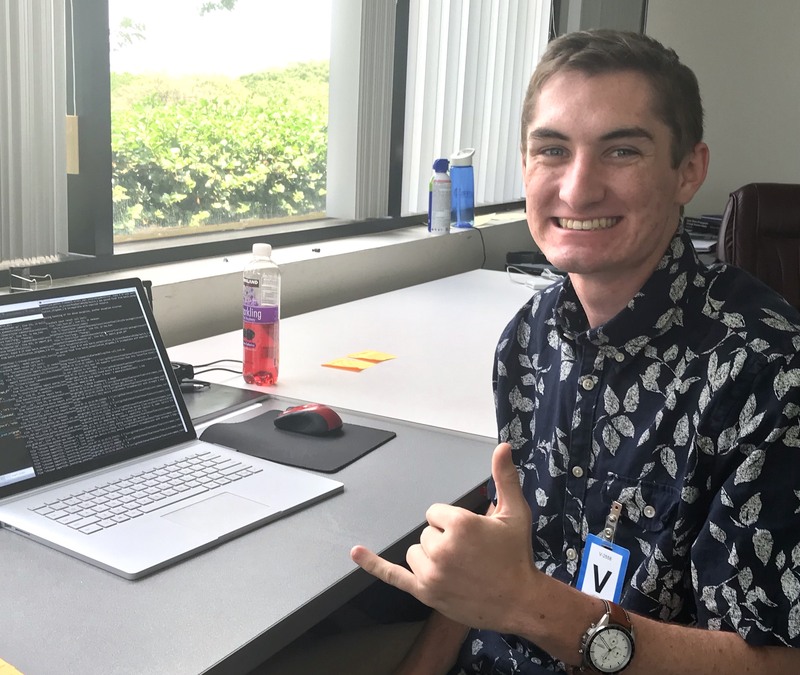 At USC, Tyler participates in research at the Data Science Institute, where he works on a team developing a modern machine learning platform for liver transplantations. He is also involved in K-12 STEM outreach, and volunteers teaching robotics at a local Los Angeles middle school. Outside of academics, Tyler enjoys playing intramural sports with Hawaii Club and going on hikes. Deep learning techniques routinely deliver state of the art results across myriad application domains. These techniques automatically produce useful parameterized algorithms, or models, by selecting model parameters to minimize a differentiable function measuring task (e.g., object detection, language translation, etc.) effectiveness; this parameter selection process is known as training. Deep learning algorithms can be trained to exploit complex and subtle patterns in data that are inscrutable to humans, and are therefore impracticable in hand-designed algorithms. This combination of autonomy and expressive capacity enables useful information processing in many practical problem domains (e.g., self-driving cars). However, adoption and transition of trained models often presents a technical barrier, as deep learning models are inherently complex, computationally demanding, and are generally tightly coupled to the software framework in which they were developed. In this work, we describe a library, TensorFlow Distributed Image Serving (TenDIS), that enables flexible, automatic decoupling of deep learning model development and application. TenDIS enables the embedding of any image processing model into production systems with minimal effort by standardizing model input and output through a RESTful API, thereby encapsulating the model server into an easily-integrable black box architecture. TenDIS also encapsulates the model in a TensorFlow-Serving environment that does not require cloud infrastructure for remote inference. This capability is critical for application development using classified data and networks. Finally, TenDIS enables the low-friction deployment of deep learning models to the Internet of Things (IoT) by decoupling the device (e.g., a drone or sensor) and its computational backend; thus, remote inference can be completed on a more powerful machine and the results transmitted to the IoT device. We demonstrate TenDIS’ operability on two image-based models: a CycleGAN and a Faster R-CNN utilizing the TensorFlow Object Detection API. Future work will use TenDIS to decouple deep learning model development and application in production systems.